The Magic Baking Tin comes with 21 pieces and by linking them together with connecting pins you can mould cakes and breads into all sorts of awesome shapes. 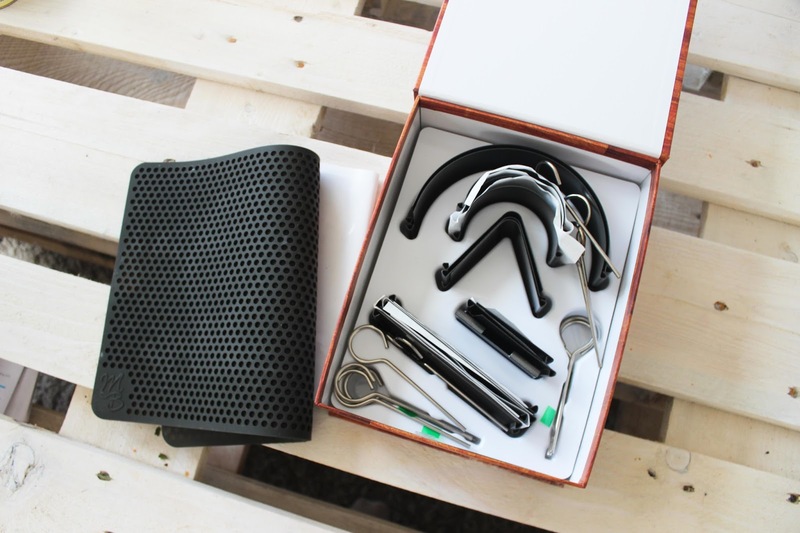 You set the shapes by sticking the pins into a silicon mat with holes in it. There are instructions for over 100 different shapes on the Magic Baking Tin website which are super easy to follow. I decided to go for a heart shape just because I thought it was cute and it was an easy shape to get started with. I've never made a cake in any different shape apart from rectangular or circular so it was pretty exciting! There's also things like letters of the alphabet and animals. I'm gonna have to dedicate some time for baking over the next couple of weekends and see what creations I can come up with. What's really cool about the Magic Baking Tin is that it is easily stored in just one box which is great because it takes up very little space, if I was to buy 100 different shaped tins I would definitely wouldn't be able to fit it in my kitchen. 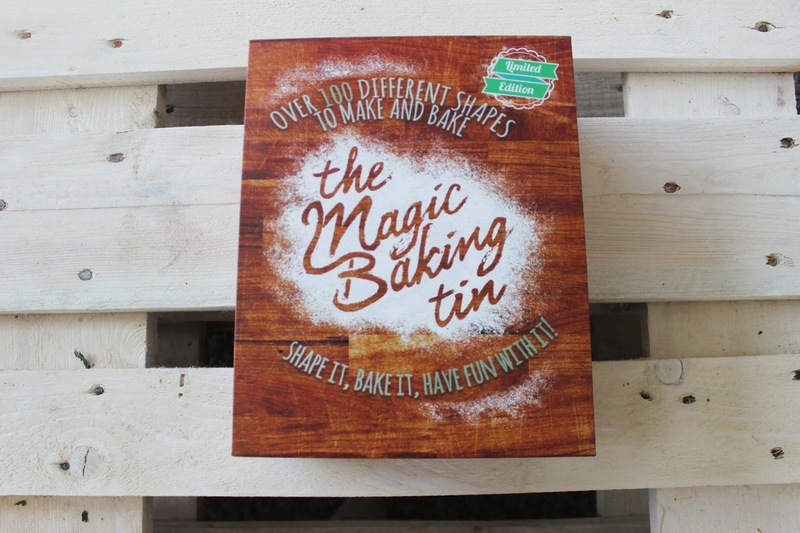 If you like to purchase your own Magic Baking Tin you can do so with an exclusive 20% discount! 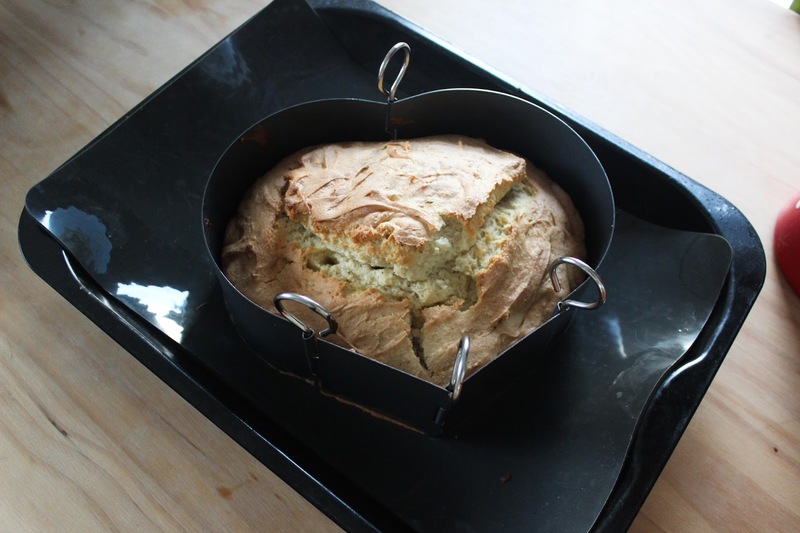 Overall I'm really pleased with the baking tin and it has added a new fun element to my baking routine. My only criticism is that I wish that the silicone matt was a little bigger, it's around A4 in size (maybe slightly larger) and some of the shapes I wanted to create simply didn't fit onto it. 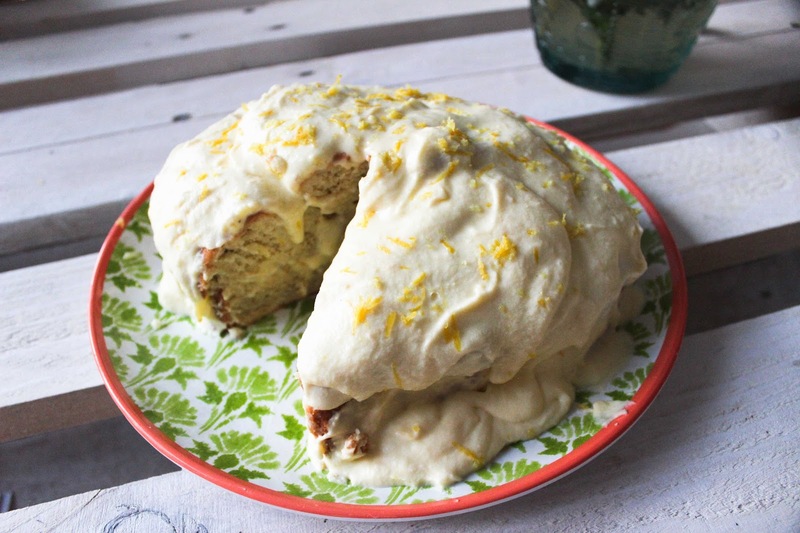 Okay so now lets move on to the delicious Gluten Free Lemon Cream Cake. This cake was light, creamy and moreish. In fact it's so good that all of my friends who tried it absolutely loved it and didn't even know it was gluten free until I told them! I found this recipe on Gluten Free On A Shoestring and have adapted it slightly. 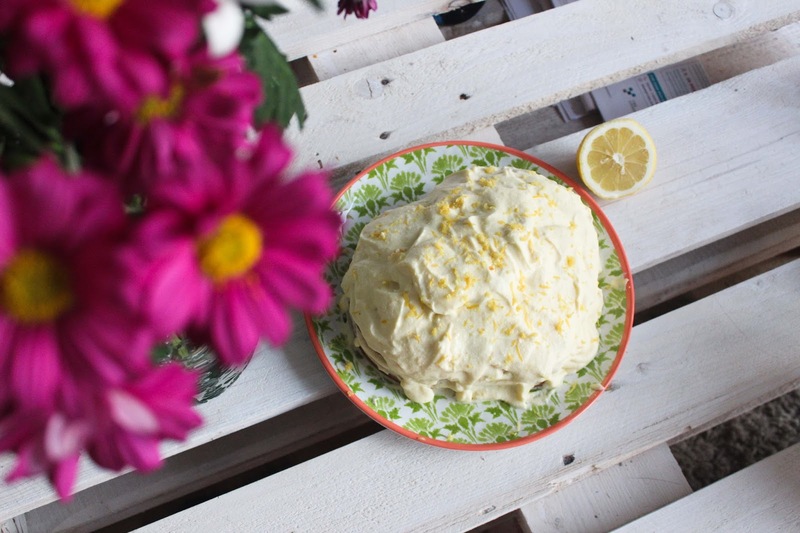 If you want to attempt making this delicious cake yourself check out the recipe below. In a large bowl, place the flour blend, xanthan gum, nonfat dry milk, baking powder, baking soda and salt, and whisk to combine well. In the bowl of a stand mixer fitted with the paddle attachment or a large bowl with a hand mixer, place the butter and beat on medium-high speed until light and fluffy (about 3 minutes). I beat it by hand and even though it took longer it worked fine. Add the sugar, eggs and vanilla, beating on medium-high speed until well-combined after each addition (again I did this by hand using a whisk). Add the dry ingredients and the water, alternating between the two and beginning and ending with the flour, beating on medium speed to combine after each addition. The batter will be light and fluffy and may seem a bit curdled (which is fine!). Divide the cake batter evenly among the two prepared cake pans and shake into an even layer in each. Place in the center of the preheated oven and bake, rotating once, until a toothpick inserted into the center comes out with a few moist crumbs attached (about 25 minutes). Remove the cakes from the oven and allow to cool in the pans for 10 minutes before inverting onto wire racks to cool completely. In the bowl of a stand mixer fitted with the whisk attachment or a large bowl with a hand mixer, place the heavy whipping cream and beat on medium-high speed until stiff peaks form. I beat by hand and it probably took around 10 minutes. Scrape the whipped cream into a separate bowl and place it in the refrigerator to chill. In the same mixer bowl, place the cream cheese and butter and beat (with the paddle attachment if using a stand mixer) until light and fluffy (about 3 minutes). Add the salt and confectioners’ sugar, and beat on low speed until the sugar is absorbed into the cream cheese-butter mixture. Add the lemon juice and lemon zest (keep a little from sprinkling), turn the mixer up to high speed and continue to beat until the frosting is light and fluffy (about 3 more minutes). Remove the whipped cream from the refrigerator and fold it into the cream cheese frosting. 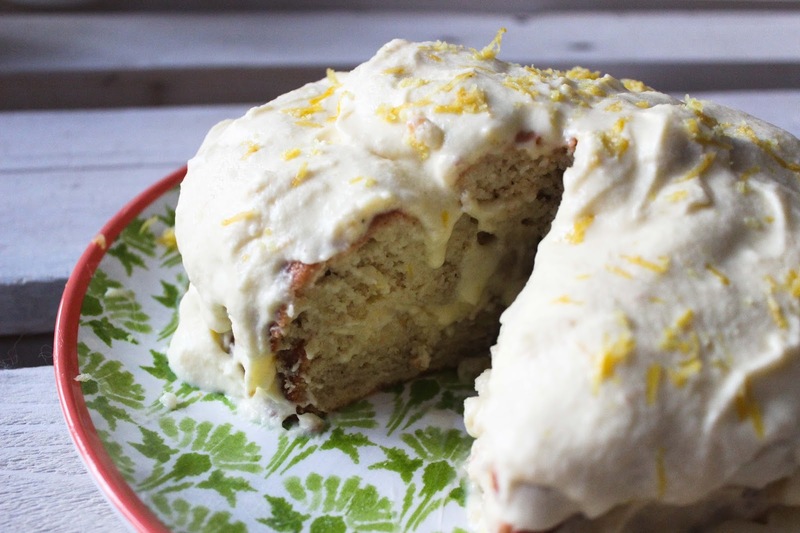 Once your cakes fully cool, spread the cream cheese frosting on them and decorate with a little grated lemon zest. I hope you enjoy this recipe I know I will be baking it again. If you have any good gluten free bakes please do share them with me! 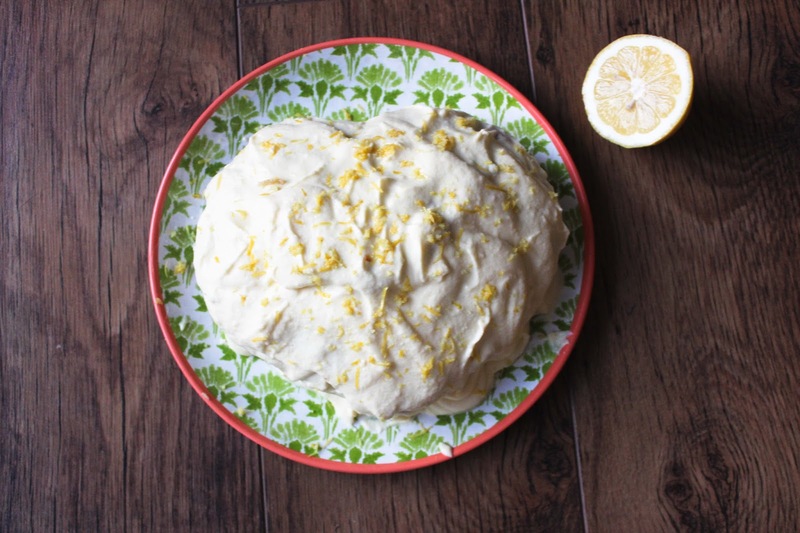 I'm trying really hard to make most of my baking gluten free just because it agrees with me a bit better and lemon cake is my favourite type of cake so I'm definitely going to try this! It looks sooo good and I'm so hungry now haha!